Winds were completely steady strong from May until Monday. I sailed a 4.7 or less every time I went out aside from one 5.2 session. My board was my faithful 85 liter Chango (Angulo). Sometimes there was voodoo chop but most times such as with Monday, it was pure windsurf bliss. The winds have shut down a bit but no fear, Lac Bay is pristine and perfect for Stand Up Paddling. I have my 12 foot Starboard so will report back. Last month I borrowed a friends Red Inflatable SUP which was quite sturdy and really easy to use. I just learned Starboard has launched their own version which I hope to purchase in Oct. for Cape Cape SUP days. Enjoy a few land shots from Monday’s Dawn Patrol Session. I arrived at 8 but young guns, Florian, Ezry and Jason were already on the water. I joined in and later Kiri and Maxime arrived. It was a perfect session. 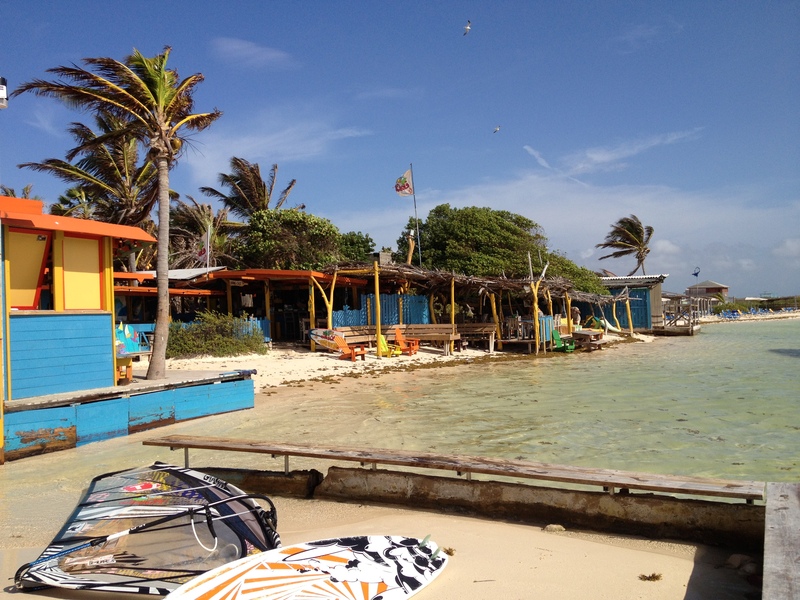 To book your windsurf holiday contact ann@bonairecaribbean.com today!! 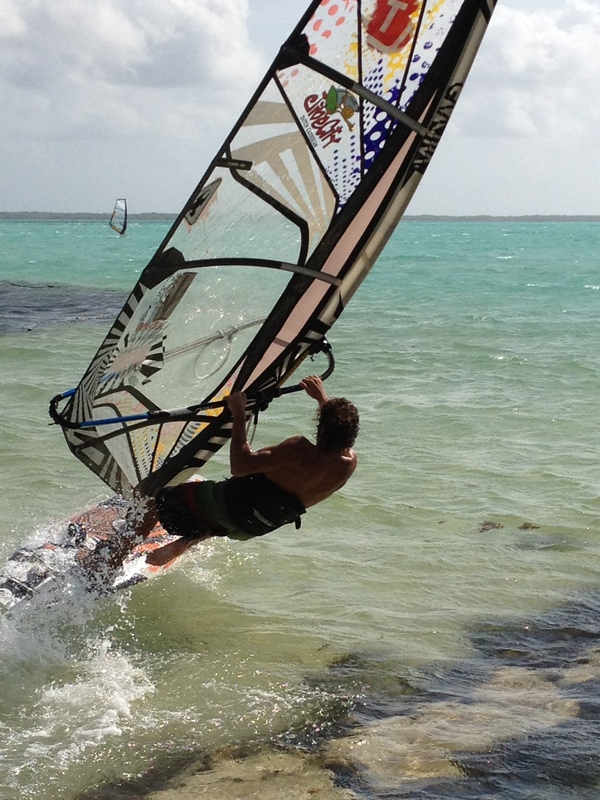 This entry was posted on August 16, 2012 at 2:42 pm and is filed under Windsurfing. You can follow any responses to this entry through the RSS 2.0 feed. You can leave a response, or trackback from your own site.